Abner MADDOX [Parents] was born on 26 May 1869 in Oxford, Sumner, Kansas. He died on 20 Jan 1918 in Canton, McPherson, Kansas. Abner married Dora E. ASH in 1894. Dora E. ASH was born in Nov 1874 in , , Iowa. Dora married Abner MADDOX in 1894. Ethel M. MADDOX was born in Apr 1897. F iii Grace J. MADDOX was born on 27 Feb 1899. She died on 11 Apr 1992. Myrtle A. MADDOX was born in 1901. Mabel L. MADDOX was born in 1903. Otis F. HEDINGER was born on 1 Aug 1897 in , , Kansas. He died in Nov 1978 in , McPherson, Kansas. Otis married Grace J. MADDOX. Grace J. MADDOX [Parents] was born on 27 Feb 1899. She died on 11 Apr 1992. Grace married Otis F. HEDINGER. Jacqueline J. HEDINGER was born in 1922. Frank Jack MADDOX [Parents] was born on 24 May 1873 in Oxford, Sumner, Kansas. He died on 3 Jul 1943 in Wellington, Sumner, Kansas. Frank married Emma B in 1894 in , , Kansas. Emma B was born on 19 May 1871 in , , Illinois. She died in Mar 1970 in Wellington, Sumner, Kansas. Emma married Frank Jack MADDOX in 1894 in , , Kansas. Rufus "Doc" MADDOX [Parents] was born on 10 Aug 1875 in Oxford, Sumner, Kansas. He died on 18 Jun 1952 in Winfield, Cowley, Kansas. Rufus married Alice. Alice. Alice married Rufus "Doc" MADDOX. M i Orville MADDOX was born on 18 Mar 1902. He died in Nov 1971. Orrie W. MADDOX was born on 5 Dec 1916 in Winfield, Cowley, Kansas. He died on 5 Oct 2002 in Winfield, Cowley, Kansas. Orville MADDOX [Parents] was born on 18 Mar 1902 in Winfield, Cowley, Kansas. He died in Nov 1971 in Winfield, Cowley, Kansas. Orville married Thelma MADDOX. Thelma MADDOX was born about 1906. Thelma married Orville MADDOX. William O. MADDOX was born in 1926. Raymond G. MADDOX was born in 1928. William PRATT was born about 1875 in Fosters Landing, Bracken, Kentucky. William married Sophia MADDOX about 1895. Sophia MADDOX [Parents] was born on 20 Sep 1880 in Oxford, Sumner, Kansas. She died on 21 Dec 1973 in Fort Collins, Larimer, Colorado. Sophia married William PRATT about 1895. Samson Sanford MADDOX [Parents] was born on 28 Oct 1835 in Fosters Landing, Bracken, Kentucky. He died on 28 Jan 1918 in Dahlgren Township, Hamilton, Illinois. Samson married Mary Louise FRYER on 16 Jan 1860 in Butler, Pendleton, Kentucky. Mary Louise FRYER was born on 8 Jul 1843 in Butler, Pendleton, Kentucky. She died on 21 Mar 1922 in Dahlgren Township, Hamilton, Illinois. Mary married Samson Sanford MADDOX on 16 Jan 1860 in Butler, Pendleton, Kentucky. Sherman MADDOX was born about 1861 in , Pendleton, Kentucky. He died about 1919 in , Pendleton, Kentucky. F ii Emma B. MADDOX was born on 19 Jan 1863. She died on 17 Mar 1887. M iii Ulysses Grant MADDOX was born on 13 Aug 1864. He died on 17 Jan 1916. F iv Nancy America MADDOX was born in 1867. She died in 1919. William T. Sherman MADDOX was born on 9 Jan 1870 in , Pendleton, Kentucky. He died on 28 Nov 1882 in Dahlgren Township, Hamilton, Illinois. F vi Sarah Jospehine MADDOX was born on 3 Sep 1873. She died on 16 Apr 1948. M vii James Arthur MADDOX was born on 26 Dec 1880. He died on 31 May 1957. Elijah WHITE [Parents] was born on 15 Feb 1822 in , Perry, Tennessee. He died on 19 Feb 1886 in Jones Prairie, Milam, Texas. He was buried in Feb 1886 in Little River Baptist Church Cemetery, Milam, Texas. Elijah married Martha MC KINNEY on 17 Nov 1875 in , Milam, Texas. 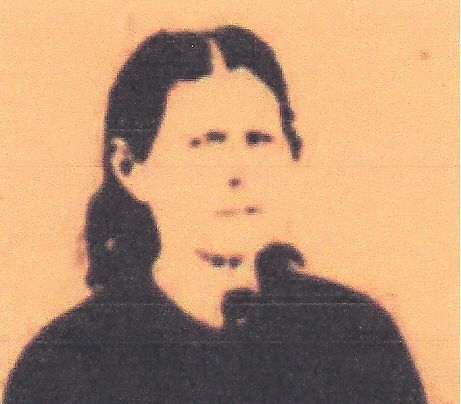 Martha MC KINNEY [Parents] was born on 13 Nov 1831 in , , Tennessee. She died on 1 Oct 1903 in , Lavaca, Texas. She was buried in Stonewall Cemetery, , Gonzales, Texas. Martha married Elijah WHITE on 17 Nov 1875 in , Milam, Texas. David Jones WHITE was born in 1868 in , , Texas. John H. JONES [Parents] was born in 1825 in , , Tennessee. He died in 1863 in Navasota, Grimes, Texas. John married Mary A. RUMTINE in 1847 in , , Mississippi. Mary A. RUMTINE was born about 1830 in , , Tennessee. She died in 1859 in , , Texas. Mary married John H. JONES in 1847 in , , Mississippi. F i Alzira Ella JONES was born in Oct 1849. She died on 4 Jan 1924. M ii Samuel Lewis JONES was born on 1 Apr 1857. He died on 1 Apr 1937. John H. JONES [Parents] was born in 1825 in , , Tennessee. He died in 1863 in Navasota, Grimes, Texas. John married Emma VERNON in 1862 in Gause, Milam, Texas. Emma VERNON [Parents] was born about 1844 in Manchester, Lancashire, , England. She died in Abt 10 Feb 1870 or 1880 in , Milam, Texas. Emma married John H. JONES in 1862 in Gause, Milam, Texas. M i John Anderson JONES was born on 3 Sep 1863. He died on 4 Jun 1931.